Inspired By John Lennon Revolution, Hollow Body/Semi Hollow Body Electric Guitar from Epiphone in the Casino series. 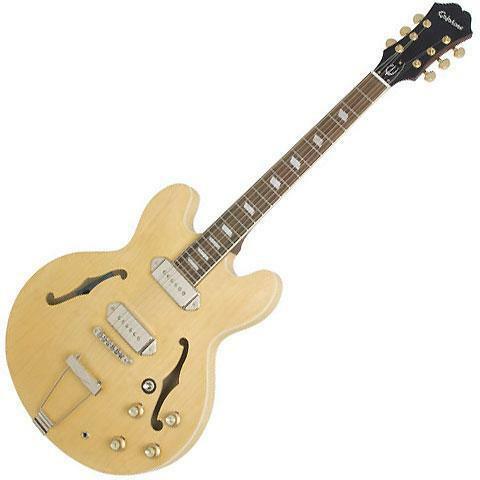 Epiphone introduced the "Inspired by" John Lennon Casinos model. According to Epiphone, that this guitar is revered in two entirely different incarnations: many love it in its original state as a vintage sunburst 1965 Epiphone Casino, while others admire its "Revolution-era" appearance from around 1968, after Lennon stripped it and altered some of its hardware. 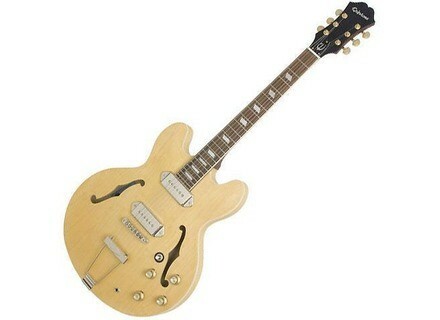 Now both versions of this historic electric guitar are available simultaneously in the form of the Epiphone "Inspired by" John Lennon Casinos, which according to the company "offer the look, tone, and feel of Epiphone's acclaimed U.S.A. John Lennon Signature Casinos, but at a more affordable price." Visit Gibson.com for more info. Alfred: Disturbed: Asylum Alfred Music Publishing releases the album-matching songbook to Disturbed’s latest studio release, Asylum, arranged for guitar in both music notation and TAB. Rotosound Super Bronze Acoustic Strings The strings are said to have a rich textured tone that stems from the use of Phosphor Bronze; an alloy of copper, tin and phosphor made to Rotosounds specifications. Fender John Mayer Special Edition Black1 Stratocaster In collaboration with John, Fender is now offering a collectible, 500-piece special edition of his Black1 guitar worldwide.